Gripped by crazed jealousy, the Angel of Death gave up on his happily ever after, until the day a shy redhead appeared. Could she be the cure Azrael’s madness?Cassiela is plagued with lustful thoughts of the Angel she’s assigned to guard. Once bitten, Cassie is twice shy from the moment she sets eyes on Azrael. Lost in his dark eyes and easy smile, the Angel of Deliverance finds old hurt and pain coming back to haunt her—in more ways than one.One Angel will stop at nothing to keep Rae and Cassie from claiming the life they never expected to have. 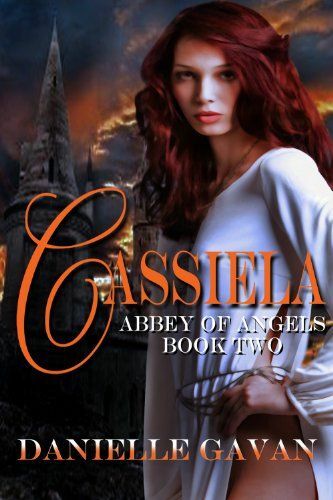 A battle to rival the Great War in Heaven is begun by Rae and Cassiela’s need and love for one another. Will something even they never expected, and are unwilling to give up, turn the earth into a battle ground, and the lovers facing off against the biggest Angel of them all?